A multidimentional performance travel for children and adults. The audience participates inside a visual universe where the room moves and changes. The performance was originally made for an audience between 0-3 years, but can easily be performed for other audiences, children and adults. Newly established Oslo Koreografiske has the ambition to capture both children and adults with their first performance, titled We Are Symphony. Oslo Koreografiske is a collective of artists that work choreographically with dance, sound, light, scenography and the audience itself. In We are symphony, a performance created for the 0 till 3 years old, have they invited a puppeteer from North-Irland. We are not talking traditional puppet theatre, yet an installation of lit rings moving meters above the audience. 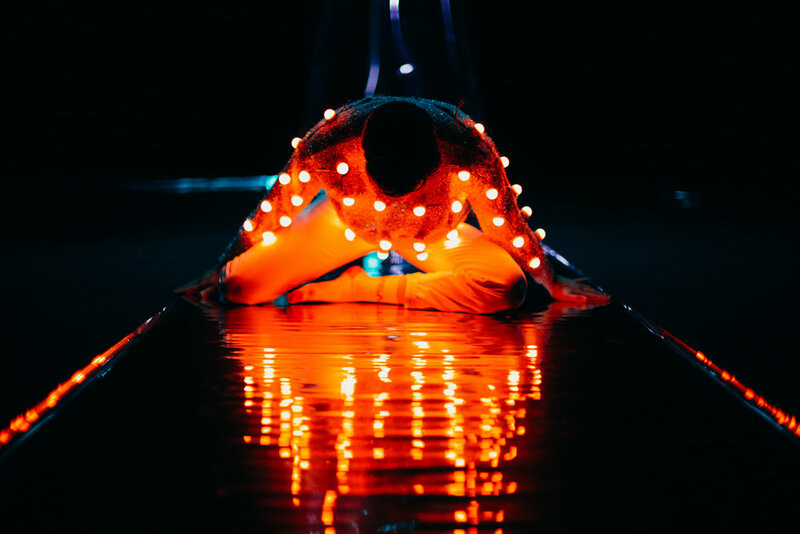 The performance tells abstract stories that build upon the co-performance of the different scenic elements, and the audience is invited into a visual landscape where the room changes by different shapes and structures. The audience can experience the performance from different perspectives and angles, and can potentially influence what happens in the piece. Oslo Koreografiske have made an open and mindbending performance that work for the very young and adults. Can that even be possible? We are symphony is a part of the project «GREAT art for little children» initiated by Dansens Hus and funded by Sparebankstiftelsen DNB. We are symphony is a scenic experince for both children and adults made by artists that recently themselves have become parents.